Yesterday, Sunday, I thought so many times about routine. I love routine and structure, schedules and calendars. It has been almost two months since I have had any sort of routine in my life (since I left Evergreen Lutheran) and it is exhausting for me. The last two months have been chaotic, with every day bringing some sort of a new adventure. Yesterday, for maybe the first time in two months, I felt like it was (almost) a normal day. We got up and went to church. 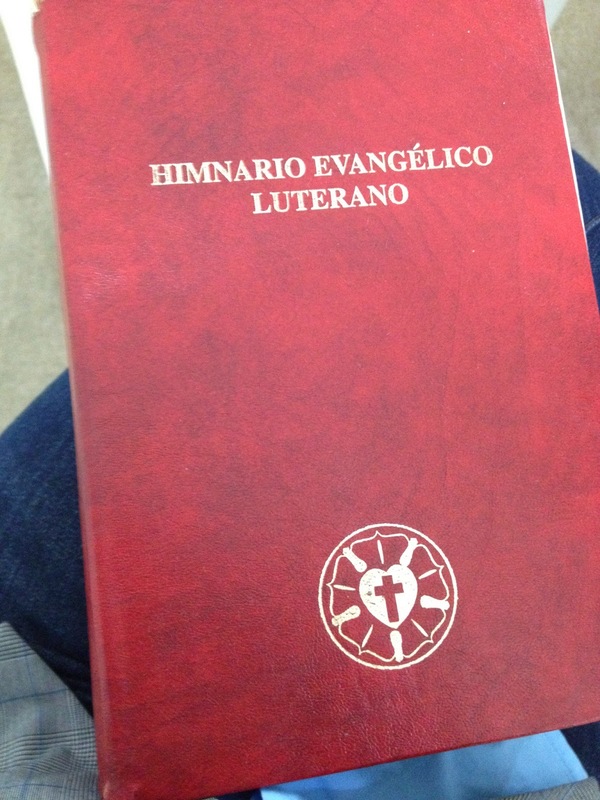 Even though the whole service was in Spanish, I, somehow, understood. The same creeds and prayers I have been reciting since I was a child, the same words of institution that I know by heart and the same Bible verses that were read by Lutheran churches around the world…it was familiar and routine, even though it was new and in a different language. After worship, we went out to lunch with Jairo and his family. Jairo has been our amazing host since we have been here, showing us around the city, and helping us get oriented. 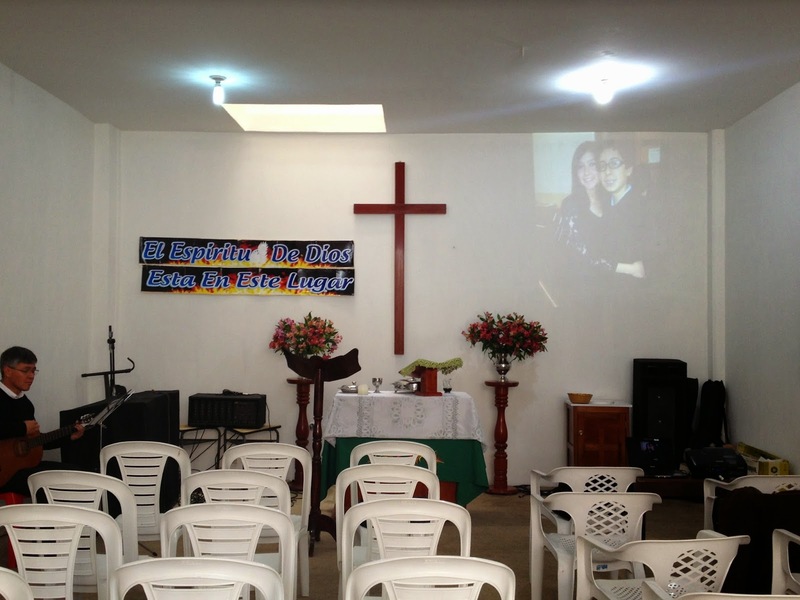 His wife, Consuelo, is the pastor of the church we went to. Their daughter, Lydia, joined us for lunch (they also have a son who didn't join us). Growing up my family always went out to eat on Sundays after church, Curtis and I continued the tradition of family dinners (with our roommate in Evergreen). Those are all special memories for me, and part of a routine. Lunch was ordinary, with laughter, sharing stories, jokes, teasing, and getting to know each other. After lunch, Curtis and I came back to the guest house, and I skyped with my parents. This has also been a Sunday tradition, and one that always makes me happy. Yesterday was a day filled with familiar routine; the ordinary was extraordinary for my soul. I woke up today ready for the challenges and adventures that a new day would bring. The altar & front of the church. The sign reads: 'The Spirit of God is in This Place'. This is a missional/start-up congregation. Jairo is on the left, he played guitar because the normal musician was away for the weekend.